In 1970, when Karl Subban was 12 years old, he discovered hockey. His parents, a diesel mechanic and a seamstress, had moved him and his three brothers from Portland Cottage, Jamaica, to Sudbury. They were one of the few black families in a predominantly French neighbourhood called Flour Mill. Karl’s parents bought him a pair of skates at the Salvation Army, which helped him make friends. Soon he was playing pick-up games with the French kids, worshipping the Habs and imagining he was Ken Dryden. As the years passed, Karl remained obsessed with the sport. He graduated from Lakehead University and began working as an elementary school teacher. He met his wife, Maria, a quality control analyst at CIBC Mellon, at a New Year’s party in 1981. 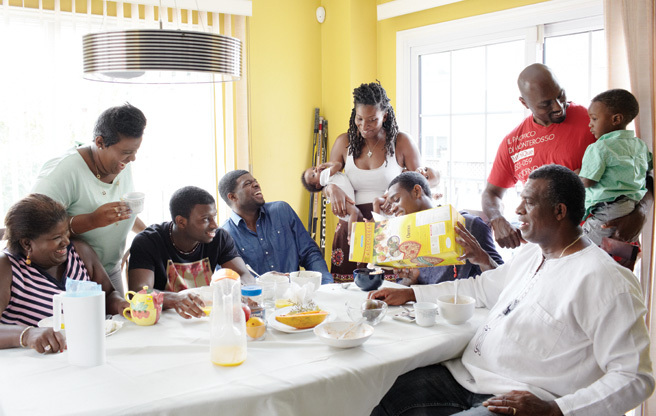 Together, they bought a four-bedroom house on a winding Rexdale street just north of the Woodbine Racetrack and had five kids: ­Nastassia, Natasha, Pernell Karl (who goes by P. K.), Malcolm and Jordan.